Honestly, I’m not too familiar with Tyketto. I know they are a melodic hard rock outfit that started in the late ’80s but I’m not sure if I’ve ever listened to any of their songs other than “Forever Young”. They’ve been on that ever-growing “to buy” list of mine of years. At least now I can cross off their latest effort Dig In Deep. 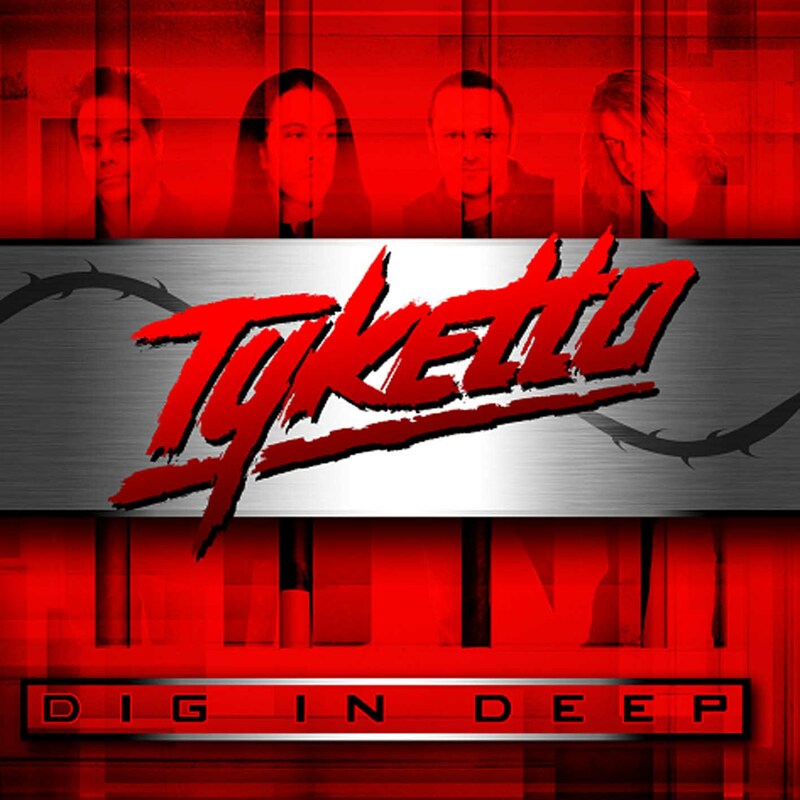 The original Tyketto line-up is back and Dig In Deep is the band’s first studio album since 1995 and the first album to feature the band’s original line-up since their debut in 1991. Granted, I don’t exactly know how Tyketto has sounded in the past but I expected this album to deliver something with a harder edge when judging them solely by listening to “Forever Young”. Instead, Dig In Deep delivers an upbeat melodic rock sound with only few tracks where I think the band qualifies as “rocking out”. The album starts off promisingly enough with the modern sounding “Faithless” but for most of the album I wasn’t inspired by the music. There are really only three tracks I would count as real rockers: “Faithless”, “Dig In Deep” and “Sound Off”. And all three are very good so it’s a bit frustrating that the rest of the album comes off as generic melodic rock. “Here’s Hoping It Hurts”, is another standout. It’s a catchy mid-tempo number with fun lyrics. “The Fight Left In Me” is a bit misleading. It starts out very impressively with a cool heavy metal guitar solo then it drifts downward from there as it becomes an up-tempo acoustic-driven melodic rock song. Granted, it still features some good riffing and another good guitar solo but I can’t get behind the chorus. This album just isn’t hitting the right spots for me. It’s obvious they are talented enough to bring some solid hard rock to the table but much like “The Fight Left In Me”, the entire album is a mixed bag. If these guys were to put out a hard rock album, I’d definitely be interested but their brand of melodic rock isn’t that interesting to me.